4kw Westerbeke generator approximately 300 hours, am/fm/cd stereo, Raytheon Loran and Radar, 2 VHF radios, hotwater tank, holding tank, engines were professionally installed in 1988 still with low hours. built in microwave, 11 cu ft refrigerator/freezer, cabin windows were replaced with aluminum sliding windows. 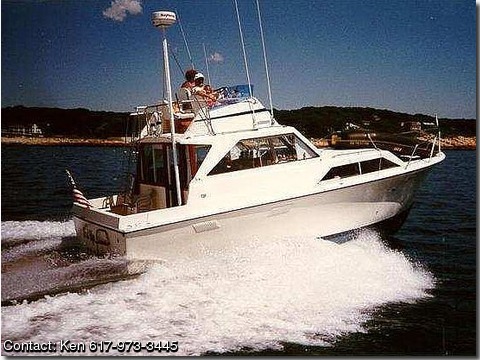 This boat is very comfortable, in excellent condition and runs great.